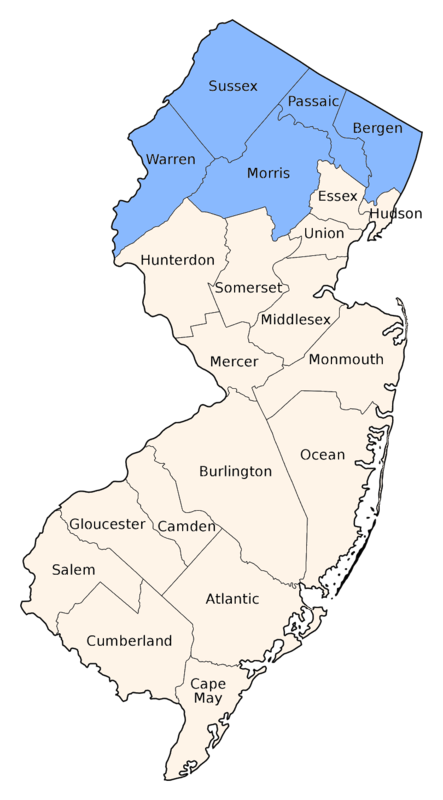 Recorded from northern counties where it is found in bigs and fens along the Kittatinny Ridge and in the highlands. 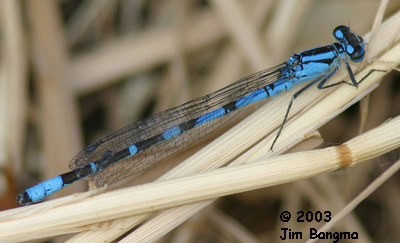 Largely blue, with a relatively narrow black humeral stripe, it is virtually identical to the less common Boreal Bluet. The postocular spots are large and rounded-triangular, narrowly separated from a thin occipital bar. 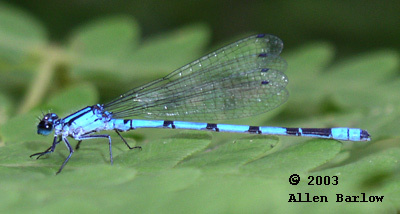 Recently split from the Palearctic E. cyathegerum. 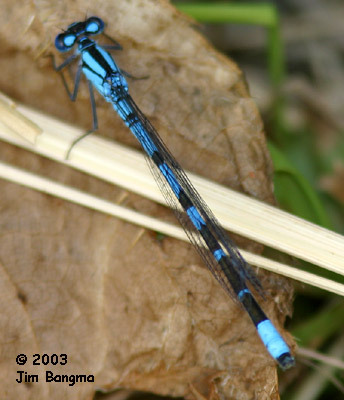 Can be distinguished from Familiar Bluet by the large postocular spots and the shorter cerci. Can be told from the Hagen's/Marsh complex by the size and shape of the postocular spots and possibly by the nearly all black S10.